How can I merge students' accounts? 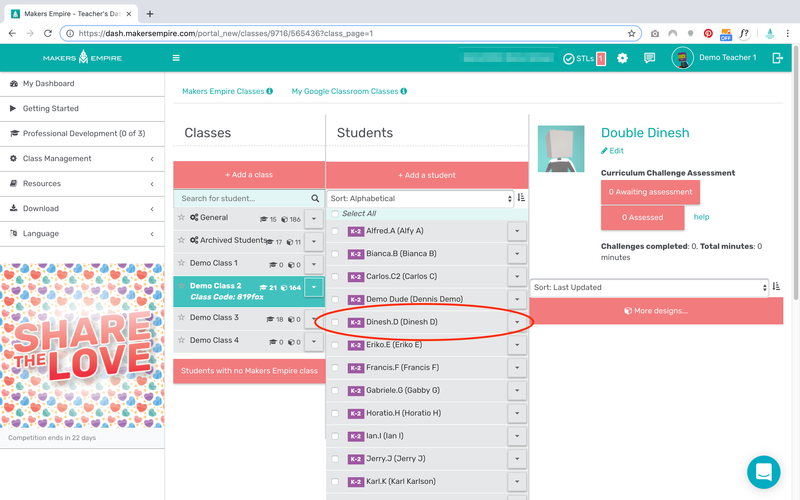 When students created multiple accounts for whatever reason, it makes class management a mess for teachers. 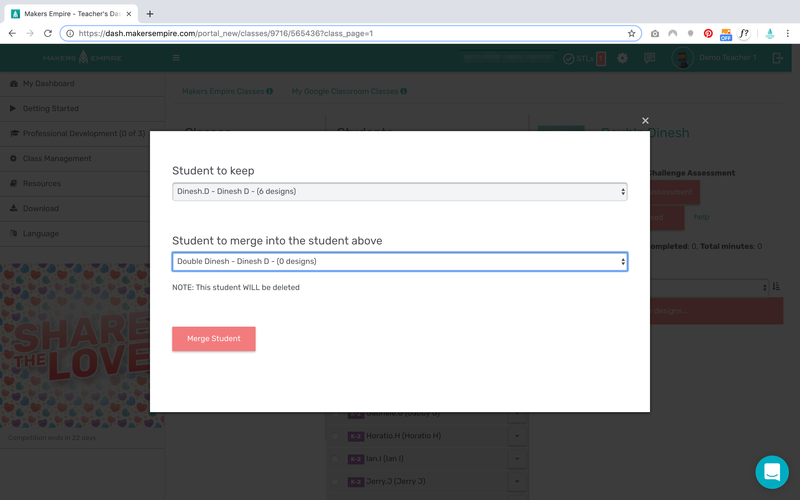 Fortunately we can quickly merge student accounts to tidy up your class lists, while also saving all your student's work. 1. Log in to the Teachers Dashboard. 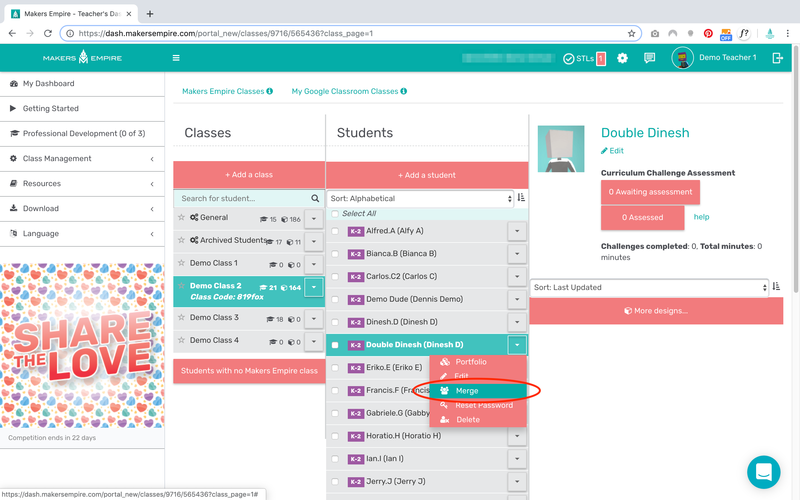 Go to Class Management > Classes, and find either of the student accounts which you want to merge. 2. Click the dropdown menu to the right of the student's username and select Merge. 3. Choose which account you want to keep, and which account you want to merge. The merged account will be deleted, but the user's work and achievements will be saved to the 'keep' account. 4. The un-needed account is now removed. To prevent your students from creating multiple accounts by mistake, you might want to download a list of usernames and passwords.